SRHU PG Admission 2019 through NEET PG 2019 ( SRH University )conducts Post Graduate Medical Entrance Examination (PGMEE) for admission into various Post Graduate (MD/MS/Diploma) programmes offered by its constituent Medical College (Himalayan Institute of Medical Sciences) for the academic year 2019-20. Candidates can check the details of application form, eligibility criteria and other information on this page below. A candidate, who holds M.B.B.S. 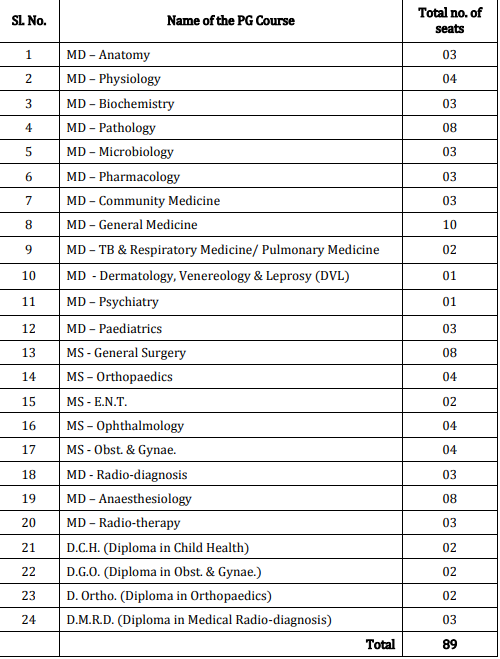 degree from a recognized medical college or a foreign medical degree included in the Schedules to the Indian Medical Council Act, 1956 and who has obtained permanent registration either from the Medical Council of India (MCI) or any of the authorized State Medical Council (SMC) after completing 12-months compulsory rotating internship shall be eligible to take this examination. However, a candidate who, after passing the final qualifying examination (M.B.B.S. 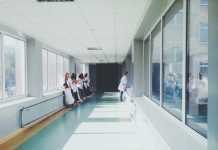 or the foreign medical degree recognized by MCI), is undergoing 12-months compulsory rotating internship and is likely to complete the same by 31st March, 2019 can take up this examination, such candidates will have to submit a certificate from the head of institution that he/she will be completing internship by 31 Mar 2019. They shall not be eligible for admission unless he/she has completed the compulsory rotating internship by 31 Mar 2019 and obtained permanent registration. The candidates who have obtained M.B.B.S. 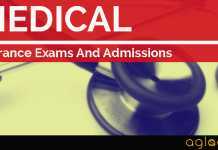 degree from the Medical Colleges which are not recognized by MCI shall not be eligible to appear in this examination. There is a common counselling for admission in MD/MS/Diploma courses on the basis of merit list of NEET and is done under the overall supervision of state government. 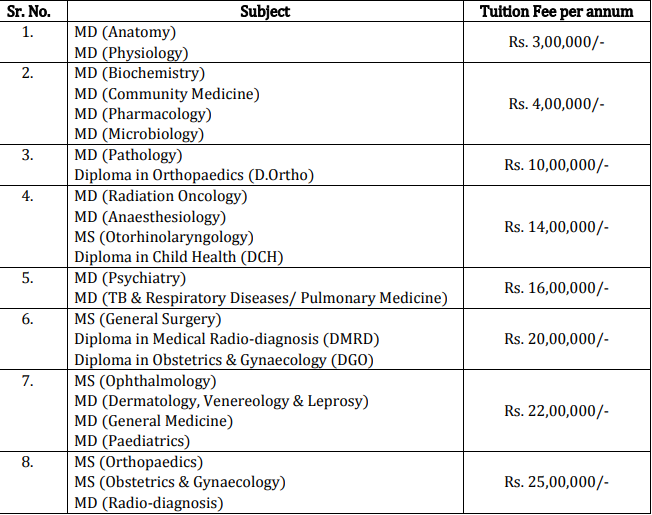 Admission to Post graduate MD/MS/Diploma courses is strictly done as per MCI guidelines. Note: As per Section 33 (1) of the Swami Rama Himalayan University Act, subject wise 40% seats shall be reserved for Permanent Residents of Uttarakhand and these candidates are entitled for 26% rebate in the tuition fee as per Section 33(2) of the Swami Rama Himalayan University Act. All India PG (NEET-2019) qualified candidates are invited for registration for common counselling & admission into Himalayan Institute of Medical Sciences. On behalf of State of Uttarakhand, the Hemwati Nandan Bahuguna Uttarakhand Medical Education University, Dehradun shall be conducting common counseling for admission into Post Graduate Medical (MD/MS/Diploma) courses for academic session 2019-2020 based on the merit of NEET (PG) 2019. For registration process and other related details for common counseling, kindly visit the site www.hnbumu.ac.in The admission to all Post Graduate Medical (MD/MS/Diploma) courses conducted at Himalayan Institute of Medical Sciences, a constituent college of the University, shall only be made as per the provisions of Section 33 of the Swami Rama Himalayan University Act. Stipend shall be paid as per the policy of the University. The issue regarding applicability of NEET and Common Counseling is pending before the Hon’ble Supreme Court. Public, in general, is informed that Swami Rama Himalayan University or its constituent college, Himalayan Institute of Medical Sciences, have never authorized/solicited any person(s) or any agent(s) for admissions in any of the programmes/courses offered by the University and/or its constituent college referred herein above. Therefore, public is cautioned to be aware of unscrupulous person(s)/agent(s)/advertisements. None of the Authority(ies) shall be responsible if students/ wards are cheated on this account. Please note that Ragging is strictly prohibited. CUG will conduct counselling of the candidates who have applied to various UG/PG and Research programmes of the University. In this regard, the Central University of Gujarat (CUG) will notify counselling dates after the results declaration. The counselling will be conducted in the online mode where students who have opted CUG as the choice of university will be required to register themselves on the university’s online portal. After the last date of such registration the merit list of UG/PG programmes and list of selected candidates for interview for research programme in the different schools/centres will be declared. The selected candidates can then secure their admission to the UG and PG programme of their choice according to the merit list. If any student fails to secure the admission before the last date, his/her seat may be offered to the next candidate from the waiting list. High School/Higher Secondary School certificate for proof of date of birth. Mark sheets of MBBS examinations (all professional examinations). Internship completion certificate/certificate from the head of the institution that the candidate will be completing the internship by 31 Mar 2019. Valid permanent/provisional registration certificate issued by MCI/State Medical Council. Recent Character Certificate from the head of the institution last attended/ or from a Gazetted officer. Caste certificate, in case of SC/ST/OBC candidates. Ten recent coloured passport size photographs (as pasted in the Application Form). In case a candidate is unable to appear in person on the notified date, he/she can send an authorized representative with an authority and undertaking letter (as per appendix III & IV of Information brochure) along with requisite original documents. The allotment made to the authorized representative shall be binding on such a candidate. If the candidate or his/her representative do not appear for counseling, it will be presumed that the candidate is not interested in taking the admission. Insofar, Official details for SRHU PG Admission 2019 through NEET PG 2019 has not been announced yet, only the eligibility criteria and fee structure has been announced. Information on this page is based on last year information brochure and for reference purpose only. As soon as SRHU PG Admission 2019 through NEET PG 2019 will release the official brochure, information will be updated here.